If you asked a person “what is Europe to you?” you would probably get a lot of different answers. To some, Europe is Paris, with beautiful wide streets on a spring day. To some, Europe is the chaos of Rome. To me, Europe is in the east. I discovered my love for Eastern Europe in 2012 when Sean and I went to Prague and Krakow. We didn’t spend nearly enough time in either city, but they were quick to steal my heart. I’ve tried to pin down exactly why Eastern Europe is my favorite, but I struggle to pinpoint exactly what it is. I love the architecture, the creepy orange light at night, the old cathedrals, the cobblestone streets, the food, all of it. Perhaps it’s my ancestry that draws me to this part of the world. 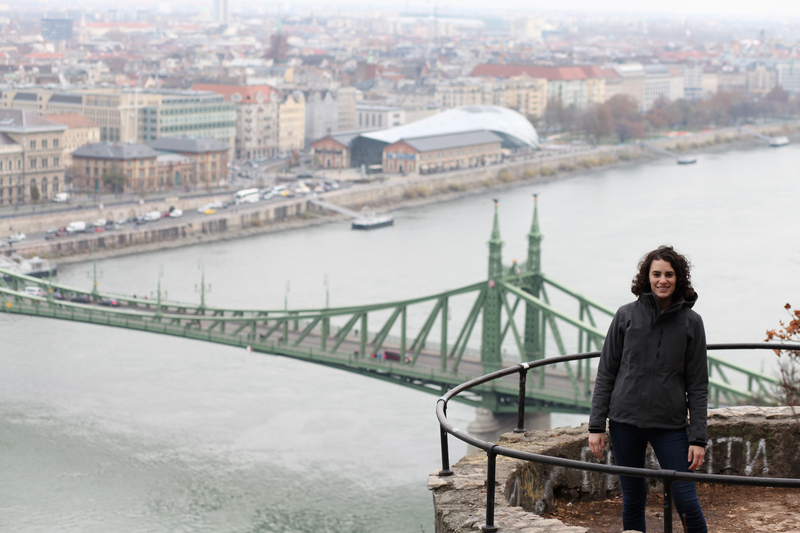 Whatever it may be, Budapest embodies all of it. Budapest is split in half by the River Danube. The hilly Buda district lies to the west and is home to the Castle District and Old Town. Several historic bridges connect Buda to Pest, the flatter, more modern part of the city. 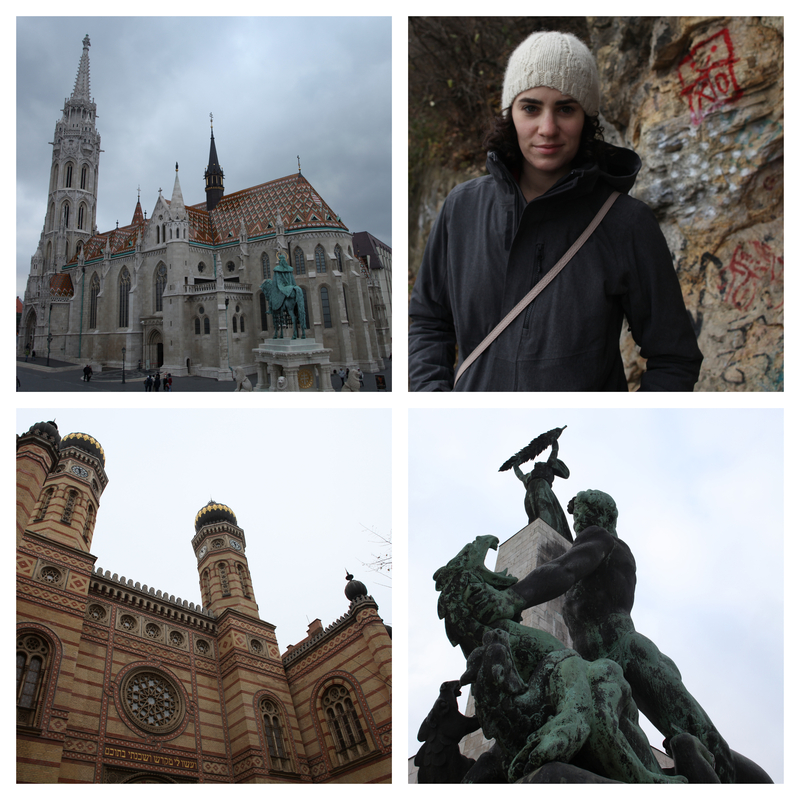 We had two nights here and spent the first at the Gellert Hotel exploring Buda. This first day was a lot of walking. And I mean a lot. Mostly uphill. We explored the Castle District which probably has the most sites to see in the smallest radius. 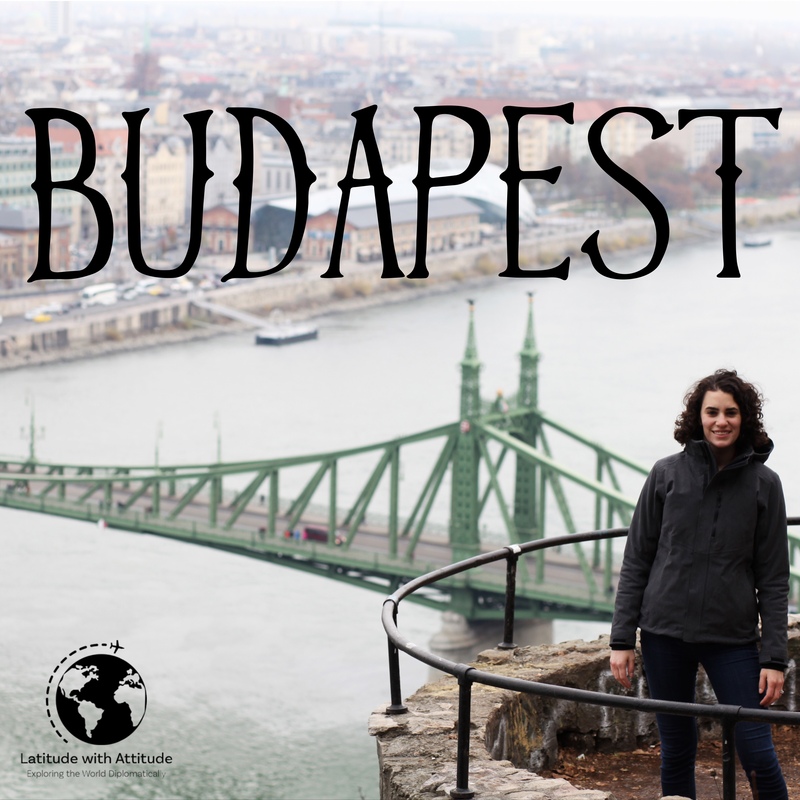 We saw Buda Castle, Matthias Church, and enjoyed spectacular views of the Hungarian Parliament, Széchenyi Chain Bridge, and the city as a whole. We battled the elements as long as we could, but I’m not going to lie, it was cold and as the sun went down I was nearing the point of full-on gremlin. 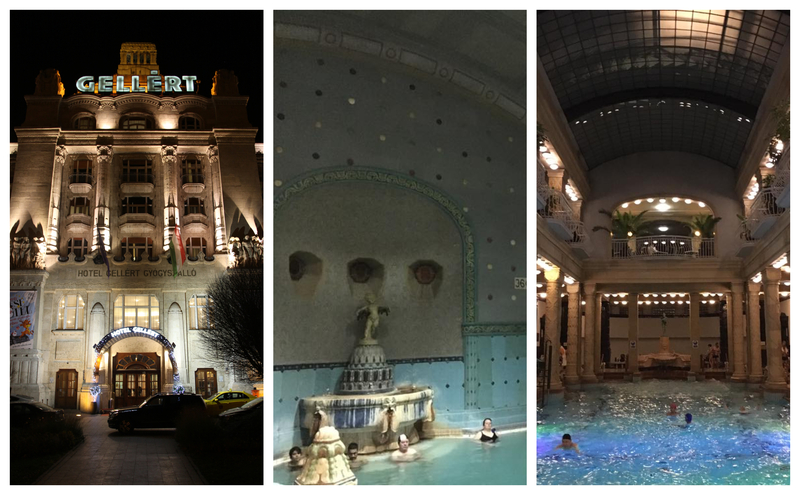 Luckily, Budapest is home to several thermal baths, and our hotel was attached to one of them. Gellert Baths and the adjoining hotel were built in 1918, and have welcomed guests ever since. I will say, the hotel is…not the greatest. It’s very old and could use some serious renovation. The location is great, and the views of the city were wonderful, but I do think they charge too much for the rooms, and the discount on the baths is not exactly worth the headache. However, the baths were beautiful and exactly what we needed after a cold day of walking. 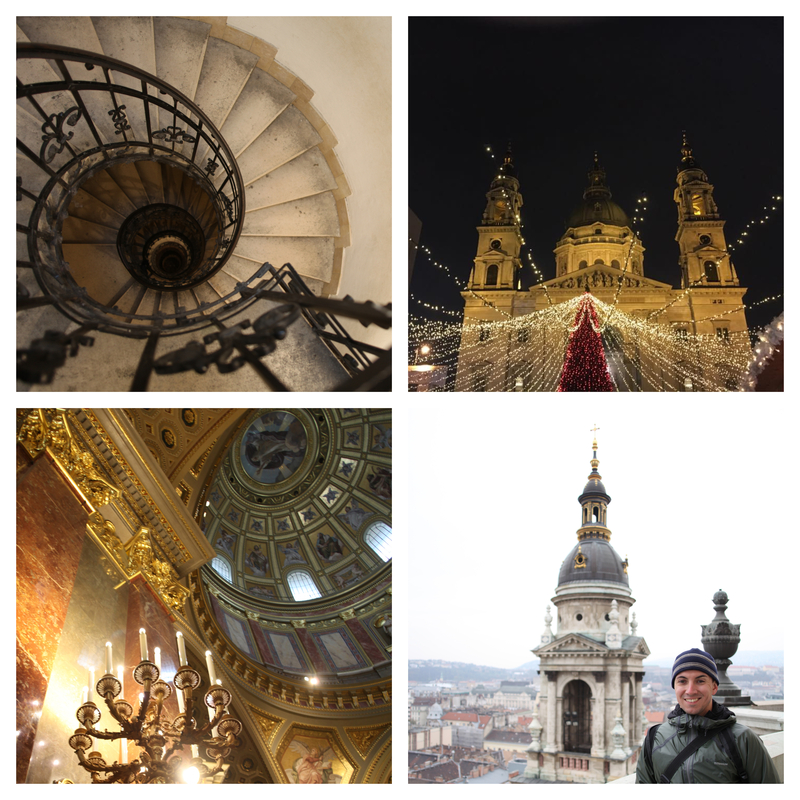 Our second day in Budapest, we transitioned to the Pest side of town for some more exploring, including St. Stephen’s Basilica. This was the first of two long spiral staircases we ascended this trip, and definitely the more terrifying. The combination of heights, open-air viewing decks, and dizziness from climbing several floors of tightly wound stairs makes for a perfect fear storm in my body. Luckily, Sean doesn’t suffer from such annoying ailments and was able to capture the beautiful views. That night we visited the Christmas markets, and they did not disappoint. We tend to eat strictly street food in Europe, and the deliciousness that is Hungarian paprikash quickly moved into my top five favorite market foods. I even tried to make it myself since we got back, but of course, it was nowhere near as good as the real deal. For our last morning in Budapest, we set off for another spa visit. During the previous two days, I had managed to damage my feet by wearing two pairs of thick socks, jamming them into too-small boots, and walking around for miles. A good soak in a thermal bath was just what I needed. 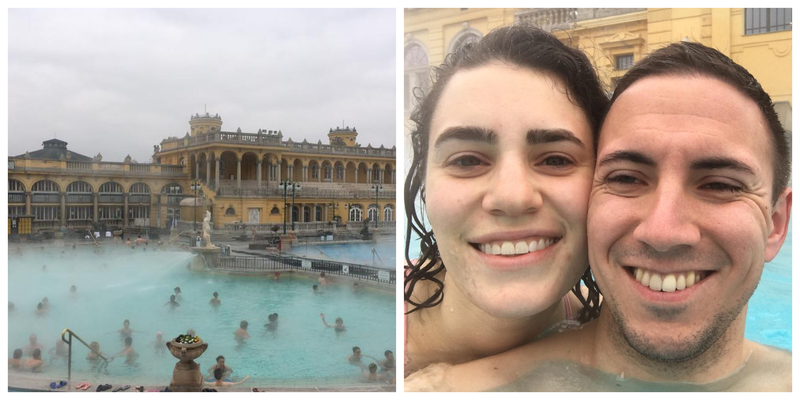 We went to the Széchenyi thermal bath this time, and I absolutely loved it. It’s basically an adult water park. The outdoor area is equipped with whirlpools, jacuzzi jets, and fountains. If the water had been a tiny bit warmer I would have stayed there forever. 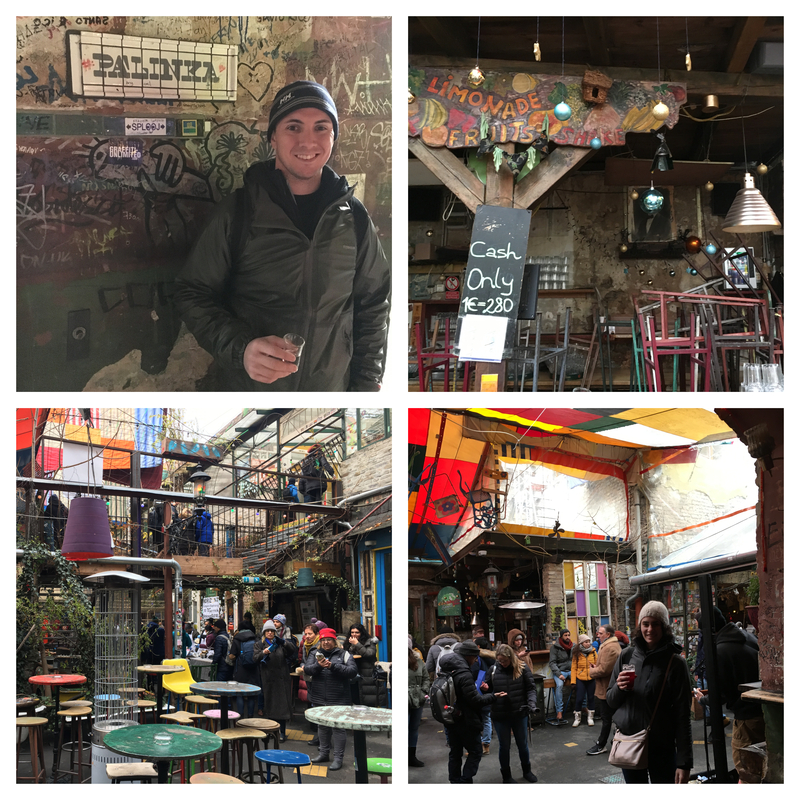 The last quick pit stop we made before catching our train to Vienna was Szimpla Kert, Budapest‘s original ruin bar. It’s current location opened in 2004 when the four owners banded together to save a dilapidated area in the Jewish Quarter. Today, much of the original structure remains as it was when the building was scheduled for demolition, and a once abandoned part of town has turned into a flourishing tourist attraction. We visited on Sunday during their weekly farmers market and enjoyed a quick drink before moving on with the trip. Like I say with every Eastern European city I’ve visited, we didn’t have enough time here to see everything, but we did have enough time to fall in love with this beautiful city.